Happy Halloween! Halloween silliness is in full swing around here today. Everyone's costumes are done and we're ready to head out tonight. The kids are looking forward to topping last Halloween's ginormous candy haul. 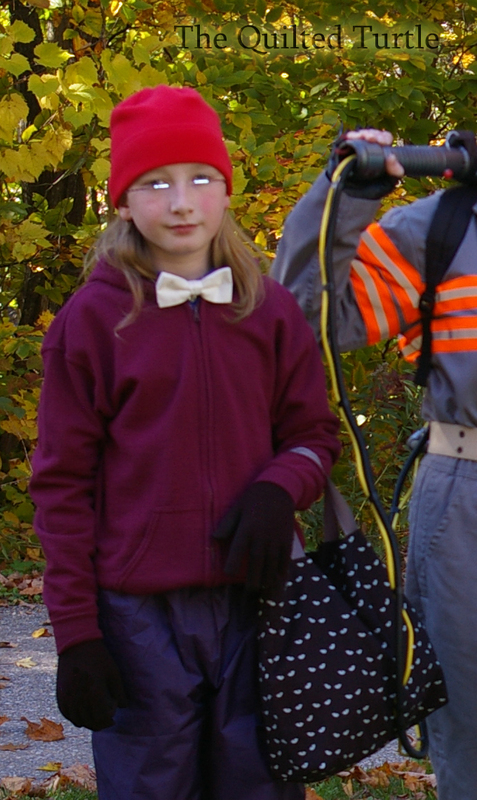 This year Miss K wanted to be a ghost. 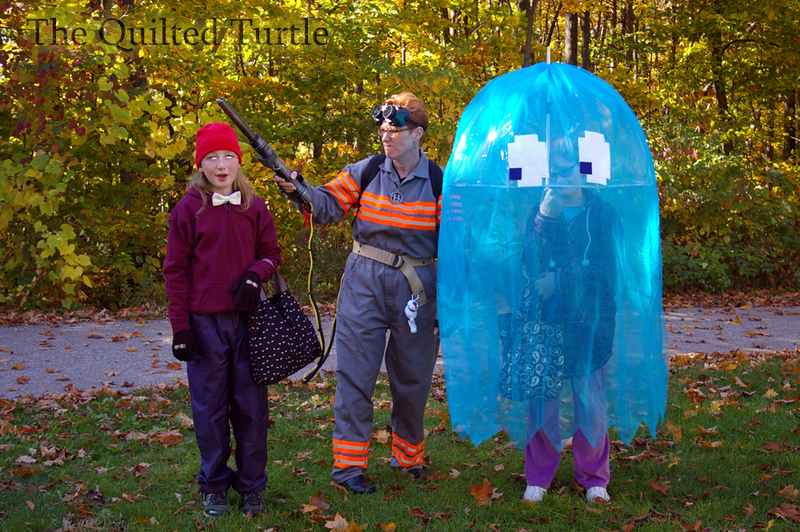 At first she wanted to be Slimer from Ghostbusters, but she quickly decided he wasn't cute enough. 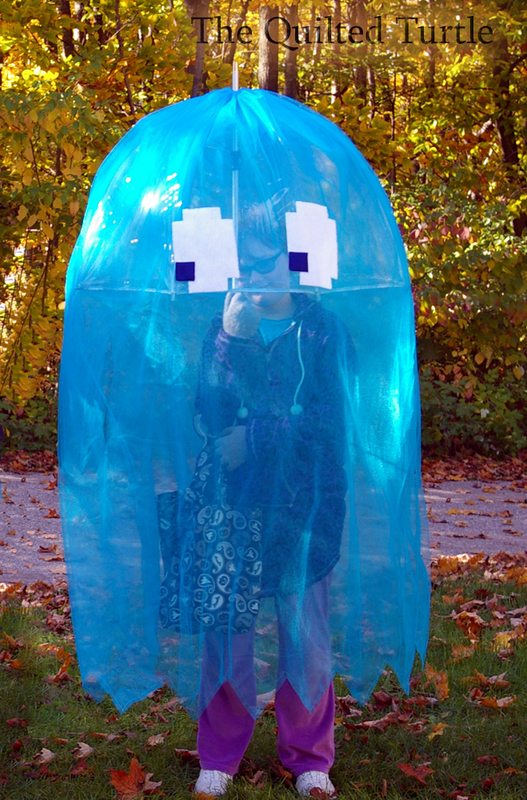 I suggested a Pac-Man Ghost, and she was sold. The concept of the tulle over a clear umbrella was pretty simple, but sewing with multiple layers of tulle was a giant pain in the rear. (I decided to make the ghost translucent so she would be able to see while she was out trick-or-treating. You can't see it in the photo, but there's also a slit so she can reach out and get candy.) She liked it despite being called a jellyfish several times while we were trick-or-treating through town. Everyone over about 40 though, knew exactly what she was! S is 12 now and decided he wanted to do his own costume this year. *Sigh. * Hard words for a mom to hear, but he and his dad worked together to solder his LED eyes. They just look white in the photo, but they are actually little lights. He's petty psyched about wearing them out when it's dark. 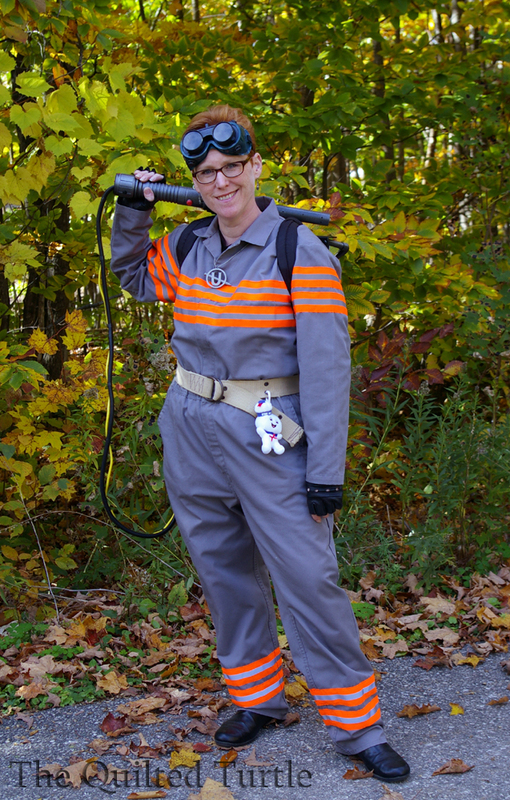 The silver lining about not making my son's costume was that for the first time in quite a few years, I had time to make a costume for myself. 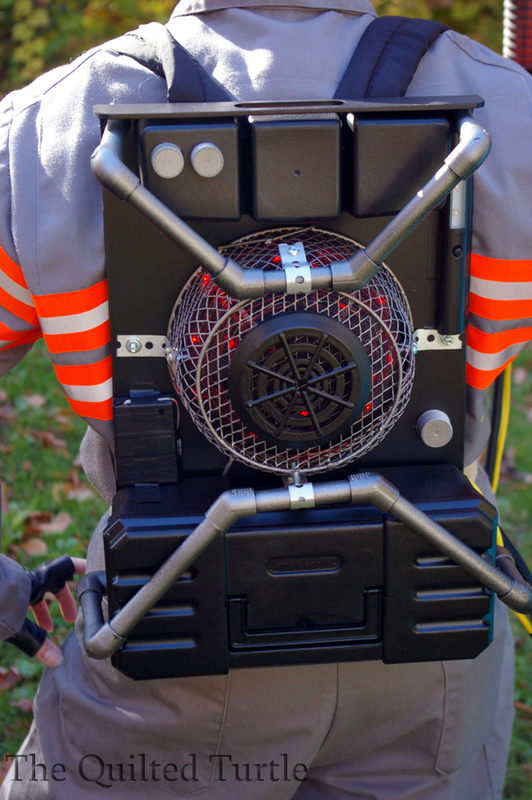 While I many not have loved this summer's Ghostbusters movie, I did enjoy it enough to be inspired to build my own, sadly non-functional, proton pack. It isn't screen accurate, but it's prefect for Halloween and I had a great time channeling my inner Holtzman while building it. Is Trick-Or-Treating still a big thing with the kids on Mackinac Island? 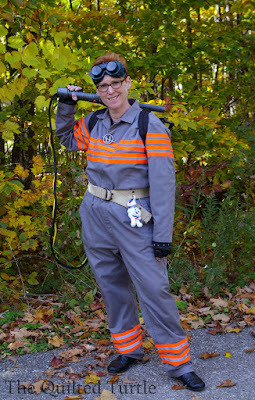 In southeast Michigan a lot of people are saying there are less and less kids out every Halloween? Oh yes! My daughter's candy weighed in at 8.8 pounds last night. Well done! I also am a mom that makes the costumes for basically everyone in the house and I don't have one for me. My 12 YO DD this year did much of her own, but I was still making a corset tank top out of faux leather (a first working with boning!) I also was in tulle purgatory making a huge tulle skirt because she was Queen Tatiana from Shakespeare! 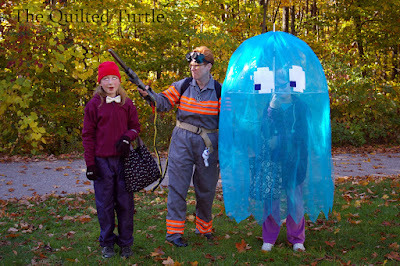 Your costume creativeness is inspiring...especially the umbrella trick. Our kids all go trick or treating with their own little ones, so we went out to dinner and to the book store...both very quiet places on Halloween.